Redesigning your shower can be challenging and that’s why you need to determine the right approach! With that in mind, here are some of things that you need to keep in mind when you create a plan for this project! Usually the size is not that important if you want to redesign your shower, however it can be a challenge if you want to expand. A regular size shower is around 3 by 5 feet. This is ok for most home owners. 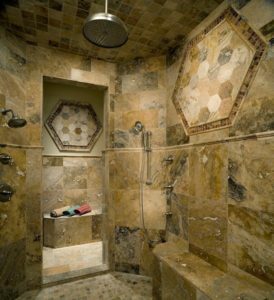 If you have 15 square feet for the shower that would be more than enough. Of course, if you have the space to work with, you can expand towards a 6 to 10 foot. Don’t design the shower too large if you don’t need that much space to begin with. If you are remodeling your home, you can work with an architect as he will be able to help you with ideas and he can make the necessary changes. Most showers come with a full height solid wall. You can opt for the idea of adding in glass walls in the shower design if you want to. If you use glass enclosures you will be able to make the home more appealing and the design will also be more professional for sure. Unlike a tiled wall this does require some maintenance. This option might not be as expensive as adding tile after you build it. Adding in an enclosed shower created for privacy can be a very good idea, since it comes with just 3 walls. Even if you are unsure whether an all-glass enclosure might be worth it, you can opt for the half walls. There’s no shortage of tile designs. 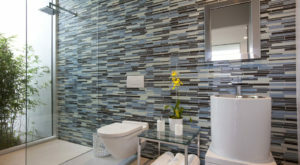 You can use glass, mosaics, marble, travertine or even ceramic/porcelain. The latter is actually very good since it will offer great water resistance and a very simple to maintain. Since finding the right design can be challenging, a good one for starters would be the wainscot design. This is a very good one that helps combine a regular subway tile with a depth-bringing herringbone pattern in order to deliver the best results. 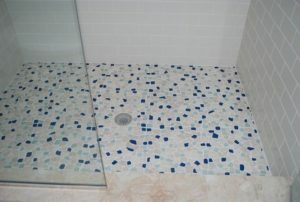 If you want to add in a decorative touch, then you can run the mosaic border either vertically or horizontally. Don’t refrain from using natural stones, especially if you want to mix them up. Should you add a bench? Benches are great because they add in comfort. They also make the entire shower experience a lot safer since disabled or older people can remove the slipping issues that appear from time to time. Plus, a bench will add in that sense of coziness in your shower. Smaller showers will not accommodate a large bench, but you can opt for a corner bench. 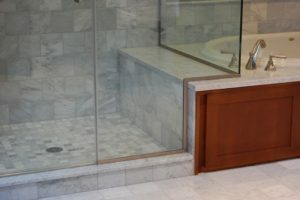 You can also add a handheld bench under the shower, this solution works great for the elderly. In the case of a shower floor, you should focus on slipping resistance. This is a major priority for any home owner and you have to be certain that low maintenance is on top of your list. The material you use will definitely influence the overall quality, so you have to be careful in what you choose and how you install it. 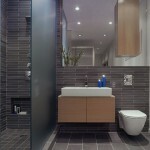 Textured porcelain, pebbles or travertine will provide some very good results. There are other types of shower floors that you can use such as wood and acrylic floors but these don’t provide good slip maintenance. On the upside they are easier to maintain. Plumbing fixtures are also important and the shower head is definitely the most important fixture. Some showers have a single shower head, others have 3. You have to figure out which is the best solution for you. Adding in rain heads can be a good option for you, but another great option would be a handheld shower head. It’s all about the lifestyle you have and your needs. The fixtures you choose and their style will definitely make or break the experience. The sleek fixtures can bring in simplicity of design, whereas the ornate fixtures will add great style and make the experience more traditional. If you want a more contemporary style, then using chrome, brushed nickel or chrome is a very good idea. You can also add oil rubbed bronze and this will work great in the traditional spaces. 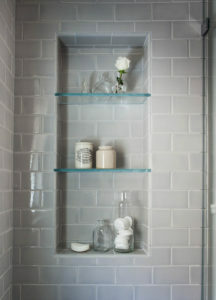 Are you preferring a wall mounted or built in storage for soap and shampoo? 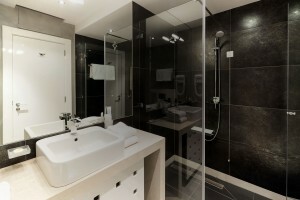 The built in options are better since they integrate in the design of the shower. They also offer great storage space, which in the end can be very exciting. In order to create storage you will have to focus on planning and may be more expenses. If you want to save money you can opt for the shampoo niches. They can save you up to $100 or even more, not to mention that you can save space as well. Either option is great, it all comes down to you and your budget!